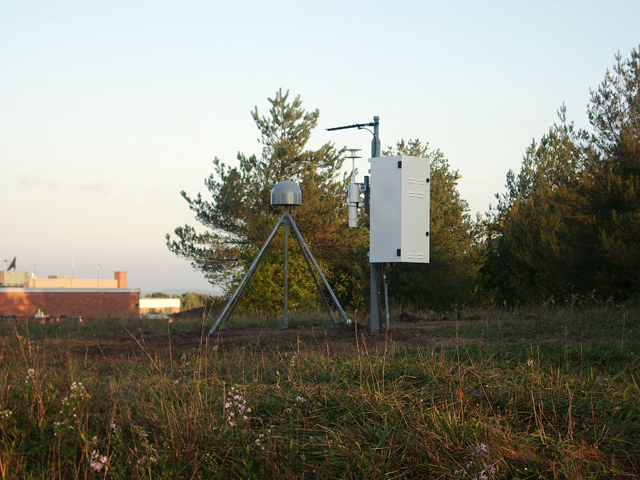 A deep drilled braced monument has been installed in Auburn, New York for the Institute for the Application of Geospatial Technology (IAGT); in association with Cayuga Community College. Cayuga/IAGT is a participant in the SuomiNet GPS project (see SuomiNet for details). IAGT requested installation of a geodetic quality monument for use as a reference station. Geodetic quality monuments are not a requirement for the SuomiNet project and can be costly to install. A Trimble NetRS receiver, Zephyr Geodetic antenna, and a Paroscientific MET3A met-pack were deployed at the new site which is called CAYU. The NetRS receiver was chosen because of its internet ready capability and versatility thus eliminating the need (and cost) for a download computer.